Locke calls a family meeting, and lets everyone know that the freighter is there for Ben, and that once they have Ben they will kill everyone on the island, and that Michael is working for Ben on the freighter. Ben, sensing the danger, has Rousseau take Alex and Karl and leave the barracks to go to the Temple. On the freighter, Sayid and Desmond confront Michael, and make him tell them his story of how he came to be on that boat. Sayid takes Michael to the captain to tell him of his transgressions. While Rousseau is taking Karl and Alex through the jungle, Rousseau and Alex are shot and killed, but Alex is spared by outing herself as Ben's daughter. At the beach, the body of the doctor from the freighter washes up on shore. Keamy's group infiltrates the barracks, and everyone there barricades themselves inside one of the houses. Keamy holds Alex hostage, but Ben won't give himself up, so he kills her. Ben, upset, summons the Smoke Monster to take out Keamy's crew while Locke and everyone escapes. At the beach Faraday makes contact with the freighter and discovers that the doctor is on the freighter and is fine. Sawyer, Claire, and Miles head for the beach to meet up with Jack & co., while Locke, Ben and Hurley head off to find Jacob's cabin. Jack falls ill, and it turns out he needs to have his appendix taken out. Juliet manages to successfully remove it. Keamy and his crew head back to the freighter on the helicopter, where they discover Michael sold them out. 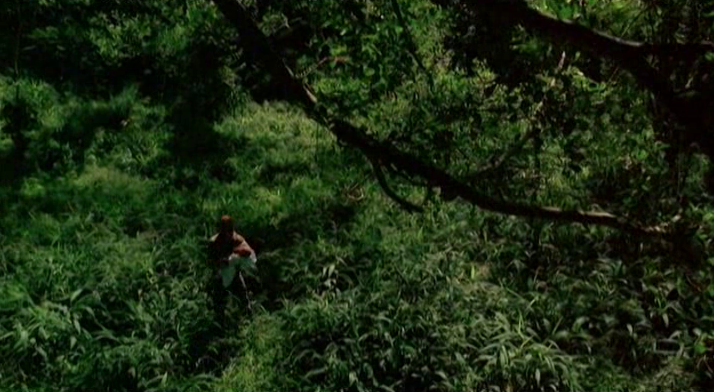 In the jungle, in the middle of the night, Christian shows up, and takes Claire off into the jungle with him. Sawyer wakes up the next morning and goes looking for Claire, but only finds Aaron crying, by himself. The episode runs 64:28 and is 534MB to download. You can stream the episode below (via Facebook), or go here to use torrents (better quality, recommended) to download the episodes to your computer.